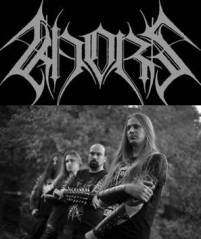 "Khors is a Ukrainian black metal band formed in 2004 in Kharkiv by Khorus, the former bass guitarist of Astrofaes. During the creative activity, the band recorded four full-length albums and two DVDs. The group keeps an active touring and performed with groups like Enslaved, Moonspell, Behemoth, Gorgoroth, Nokturnal Mortum and Temnozor. Reviews and interviews of the group Khors may be found in many magazines and web publishing. The group was formed in 2004 with the former bass guitarist of Astrofaes, Khorus, who left the group to create his own project. In August 2004 the drummer Khaoth, a former member of Hate Forest, Astrofaes and Tessaract, and, subsequently, guitarist and vocalist Helg, who was a member of Runes of Dianceht, joined the band. In the fall of 2004 the band recorded their debut album The Flame Of Eternity’s Decline released by Audio Alchemia Studio. The keyboardist of black-metal group Nokturnal Mortum Saturious and the guitarist of group Finist Wortherax collaborated on the record. The mastering took place in the studio Buddha Cat in Moscow. It was released in April 2005 on Oriana Music label. In the same year on autumn the former member of Nagual Nort joined Khors. With his arrival the first membership of Khors starts their concert activity. After a small tour in Ukraine group went to the studio again to record their next album. The work on the second album was started in February 2006 on M-Art and Audio Alchemia studios. Again in recording took part Saturious and Wortherax. Reduction and mastering was again made by Moscow studio Buddha Cat. Album was named Cold and was released with Oriana Music in December 2006. In a short time group went to the tour in Ukraine and Russia. 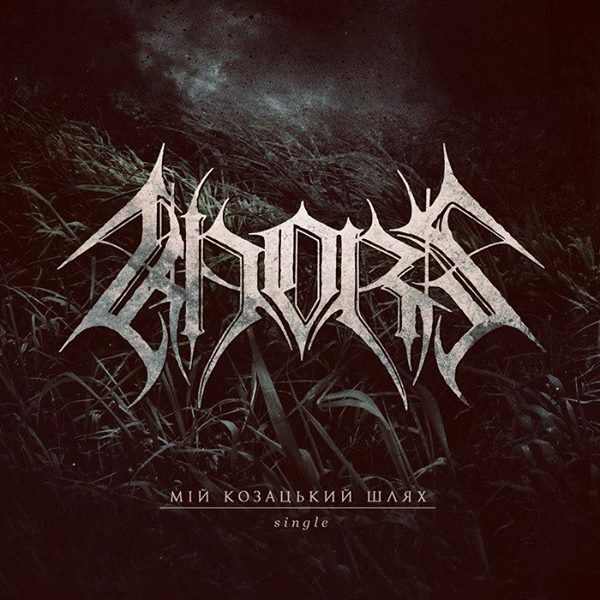 In autumn 2007 members of Khors went to the Kiev studio Blacklight to record another one album. Record was ended in summer 2008. In the same time English label Heidenwut Production with Ukrainian label Ancient Nation Production release album Cold on vinyl and Eclectic Productions release DVD named Cold Ways inclusive bootleg shot in the concert activity of the group. By the end of 2008 the third album named Mysticism released in digipack format CD on Americal label Paragon Records, and in 2009 Russian label Irond Records releases special edition of album Mysticism for CIS. Group went to the tour in Ukraine. At the middle of the year started first changed in the group: instead of guitarist Nort came Warth who earlier worked with group Faces of Death. Group started to record their fourth album in February 2010 in Kiev studio Blacklight. Record was finished in the same year in June. Album which was named Return to Abandoned released in December on Paragon Records and on Irond Records special for CIS. In the same year Paragon Records released reissue of first two albums The Flame of Eternity’s Decline and Cold, and English Heidenwut Productions released reissue of the album The Flame of Eternity’s Decline. In Summer 2010 Helg had to leave Khors and his place took Jurgis, former member of groups Gurgabs, Вайтмара and Faces of Death. In 2011 label Eclectic Productions released second DVD of group named Winter Stronghold. Dedicated to all the brave Cossack sons who fight to protect Ukraine right now and to those of them who have fallen during these painful days of oppositions. This band is highly underappreciated. I think they are one of the strongest bands currently active in the greater black metal scene.